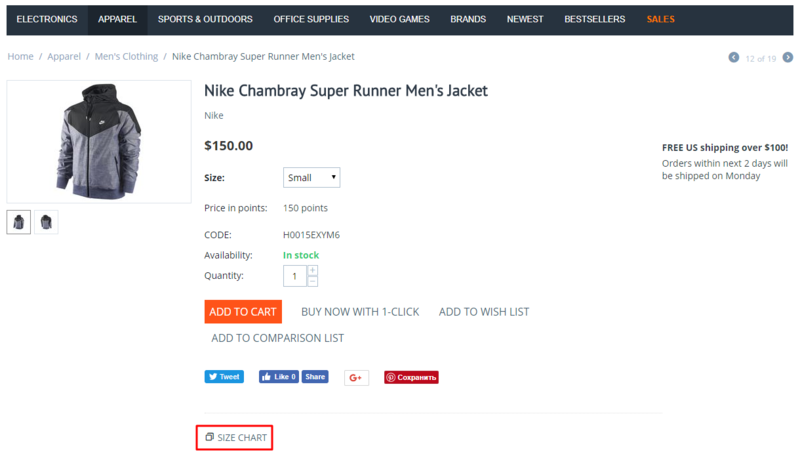 Size charts add-on allows to display a popup with size charts at product's page. 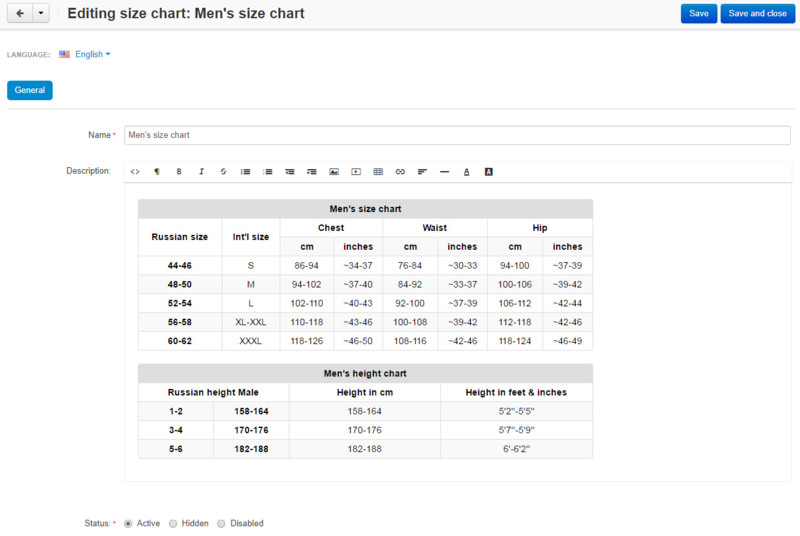 To make usage of add-on easier, charts are tied to separate options of products and settings are found in a separate menu. 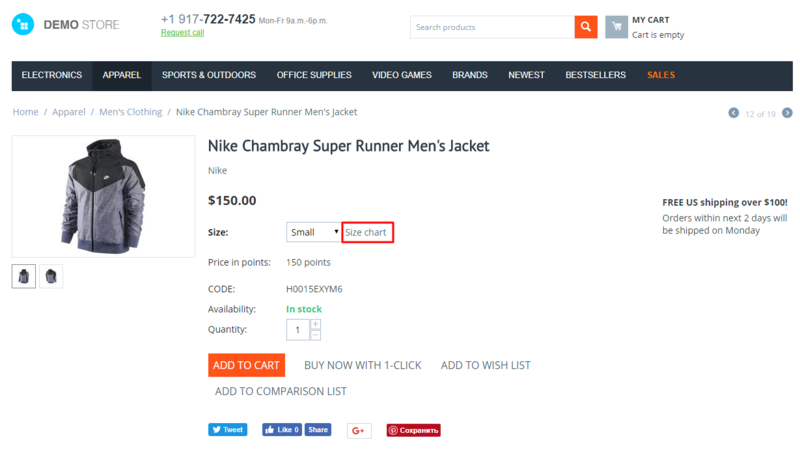 Displays popup notification with size charts, created by admin. 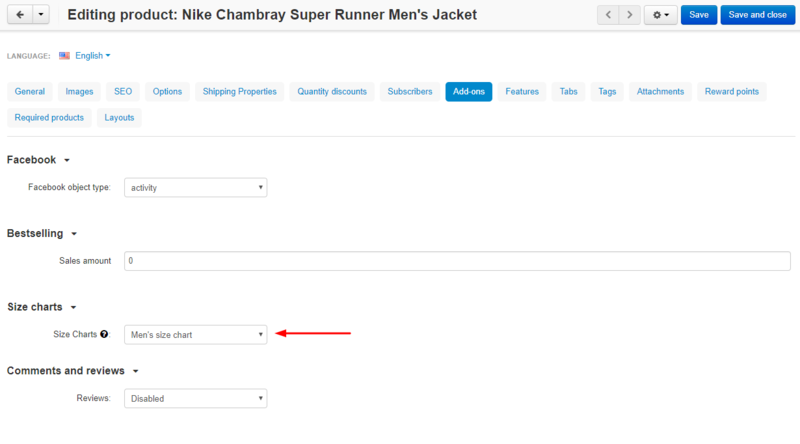  Ability to place chart buttons under "Add to cart", near size option or display size chart in product tab. 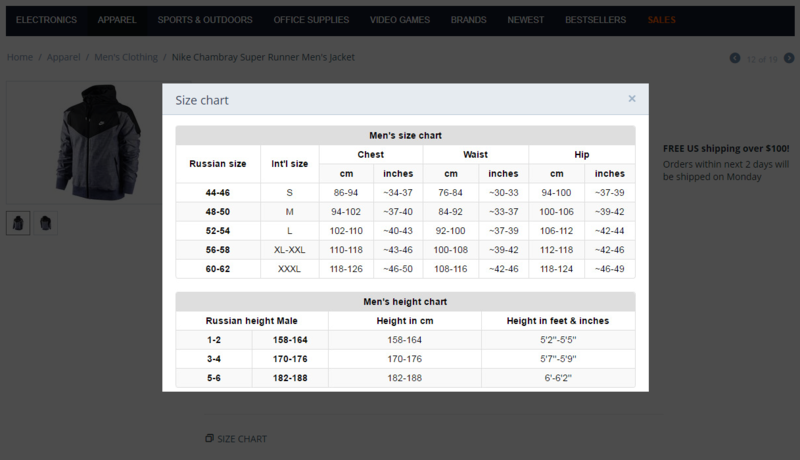 Ties charts to products' option. 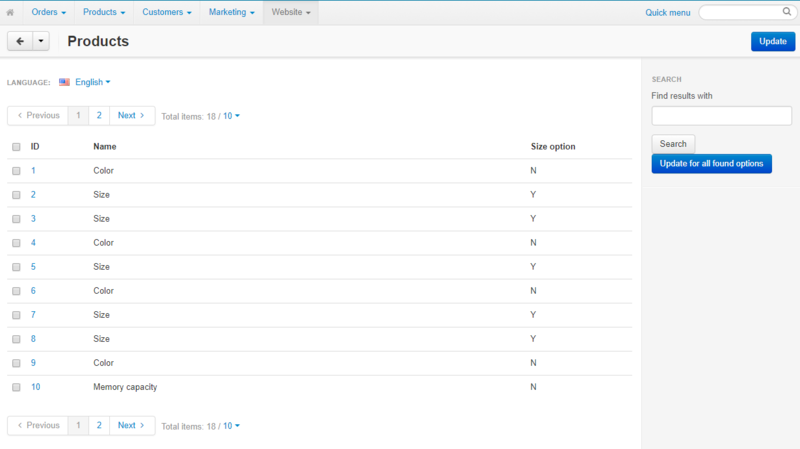 New menu for admin configuration.